The charming neighborhoods in Holladay, UT provide the perfect place to raise a family. It is easy to see why this area is a sought-after location for real estate. Holladay provides easy access to downtown Salt Lake, it is near the best ski resorts, and it is nestled away near the east side of the valley. Many of the homes in Holladay and Sugarhouse are in well-established neighborhoods. As a result, you might be living in a home that was built before some of the modern amenities were available. These old homes offer many benefits, but there are a few things that need to be done to bring them up to the modern lifestyle requirements that many people expect. If you live in a historic home in the Salt Lake area, then you should consider the benefits of upgrading the windows and doors. There are a variety of home improvement projects that can improve the quality of your home. But, windows and doors should be at the top of your priority list since there are many advantages to these upgrades. New windows and doors will have an immediate impact on both the function and appearance of your home. Instead of choosing between aesthetic changes and upgrades that will improve your lifestyle, you should look for solutions that give you the best of both. You can still maintain the historic charm of your home while improving the overall quality of the property at the same time. These upgrades can be customized to protect the original design styles that were used when the home was built. Energy Efficiency: One of the complaints about living in an older home is the difficulty in managing the indoor temperature. When the home was built, energy efficient materials weren’t available for construction. Now, you can boost the energy efficiency of your home by installing new windows that offer excellent insulation properties. Do your part to protect the environment and reduce pollution. Financial Benefits: As the energy efficiency is improved in your home, you will notice an immediate impact on the financial outlook for your family. Getting rid of the drafty windows makes it easier to manage the temperature inside. As a result, your utility bills will go down. Another financial benefit is the increased value of your home. Appearance and Style: Upgrading the windows and doors will have a positive impact on the aesthetic appearance of your home. These new products will boost your curb appeal and also transform the indoor style of your rooms. If you want to add a modern twist to a classic home, then you need to make sure that the windows are updated. Peace and Quiet: With so many people living in the area, you might be dealing with noises from the neighbors. Do you constantly hear the neighborhood dogs barking or kids playing outside? These sounds can disrupt the peaceful environment that you are trying to create in your home. Instead, of listening to the neighborhood noises all the time, you can upgrade the windows to seal out the sounds. It is easy to see the benefits of replacement windows and doors for your home! Get started with these upgrades right away, so that you can enjoy the benefits for as much time as possible. Once you have decided that you want to upgrade the windows in your home, the next step is to hire the right contractor to help. A company with a good reputation will offer the quality of services that you deserve. At HomeStar Windows & Doors, we offer top-notch window installation throughout the Salt Lake Valley. 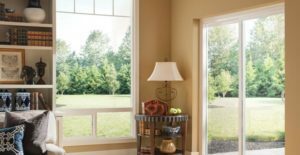 If you are interested in learning more about how replacement windows and doors can help your home, then you should schedule a free consultation with a member of our team. We are always focused on customer service. As a result, we will deliver excellent quality materials and installation at a price that you can afford. These home renovations can go a long way to improving the quality of your property and boosting your lifestyle.